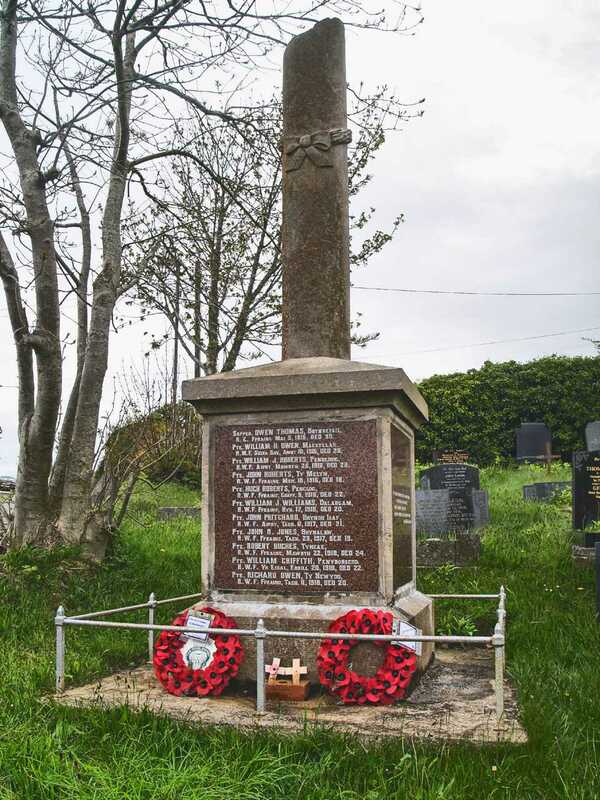 Anglesey, Bryn Du War Memorial and Wreaths. 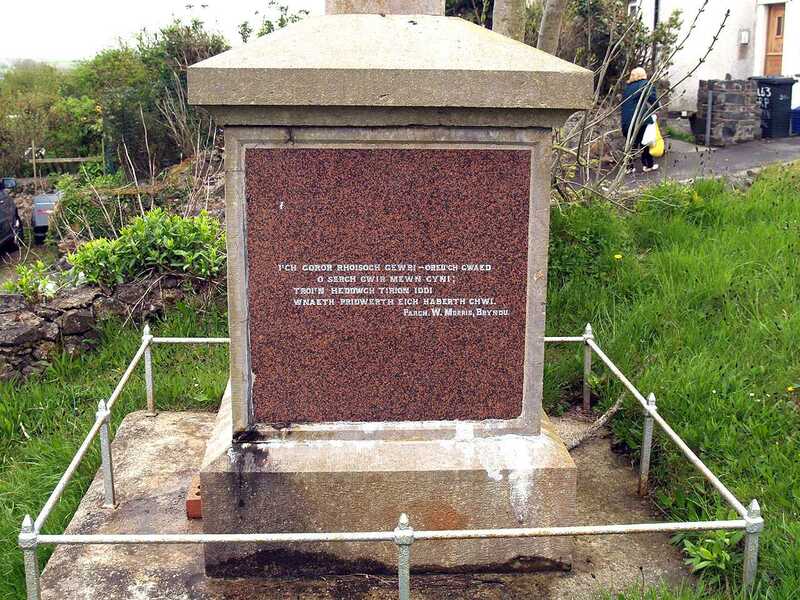 Bryn Du is in a very rural location on the Isle of Anglesey, close to both Llanfaelog and Rhosneigr. 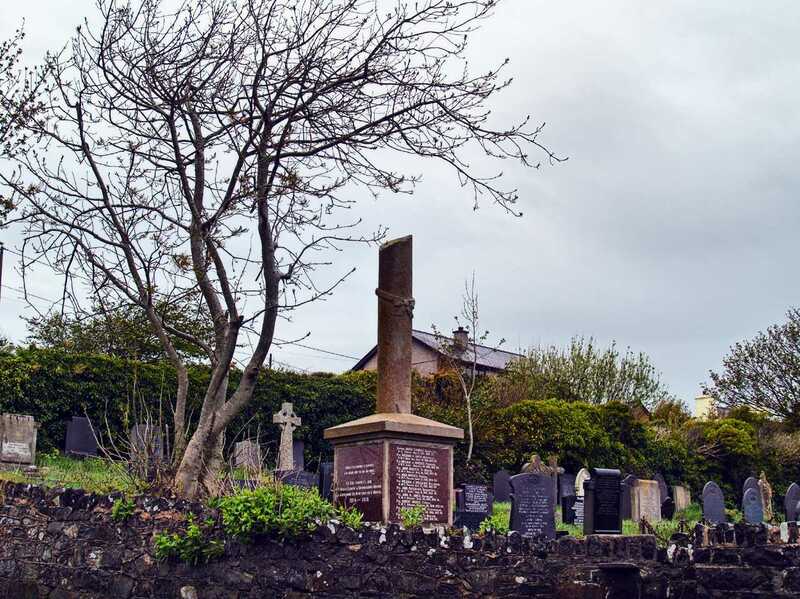 The War Memorial is located in a small cemetery close to Bryn Du Chapel. 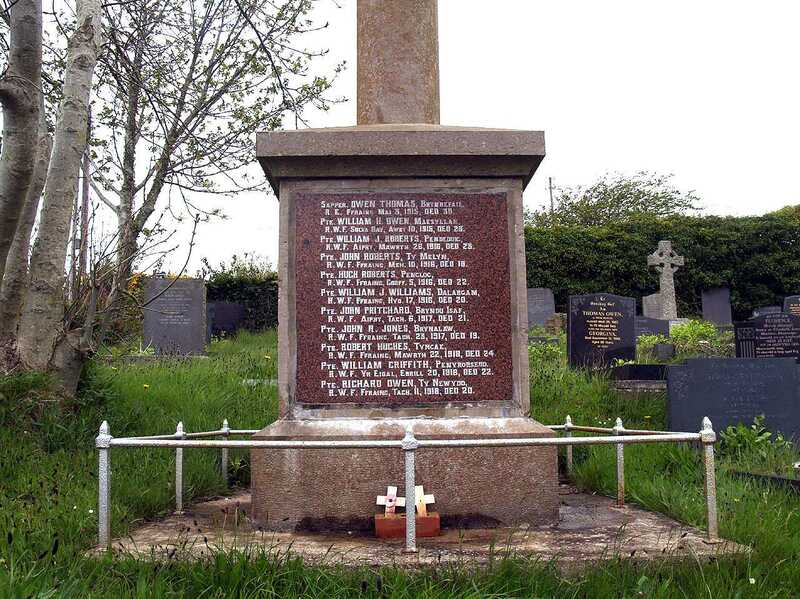 Anglesey, Bryn Du War Memorial and cemetery. 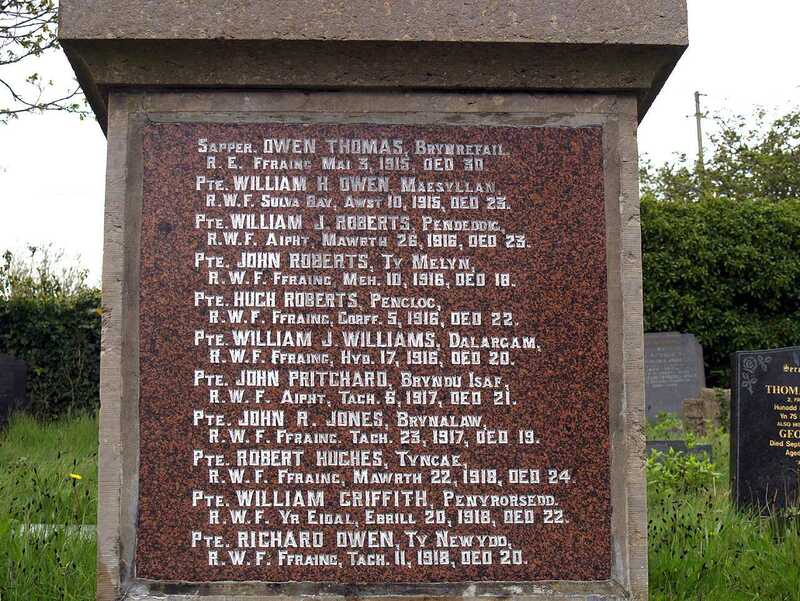 Anglesey, Bryn Du War Memorial Inscription. 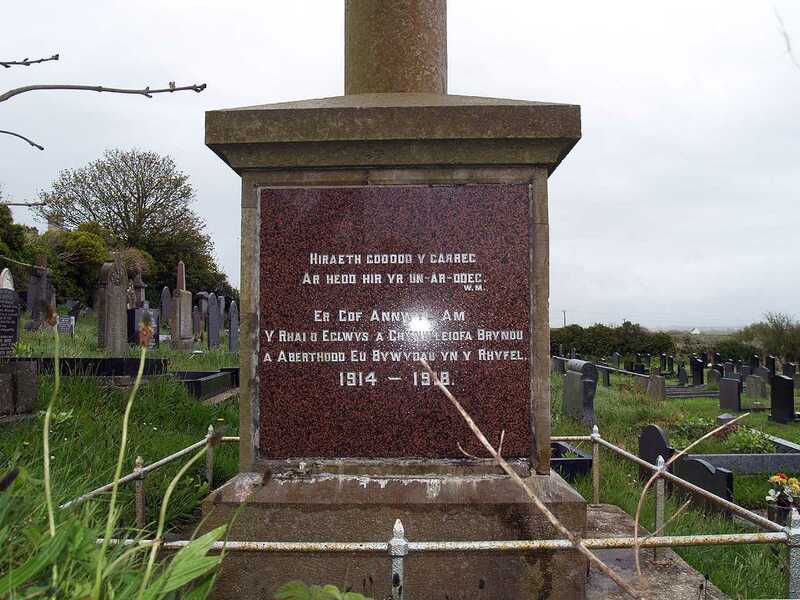 Anglesey, Bryn Du War Memorial Inscription from the Minister Reverend W. Morris. Bryn Du War Memorial Names and Railings. Bryn Du War Memorial Names Close Up.